New 2019/20 Catalogue coming soon! Pre-order yours today! Each year we strive to create a new visually stunning, picture rich catalogue with over 1100 different varieties of rose and over 400 colour pictures. This isn't just a rose catalogue, it is an encyclopaedia of Classic Roses! Literally packed with information, our catalogue will allow you to spend some time away from the screen, browsing roses by colour and family. Our catalogue also includes a handy section on rose care, covering pruning, planting, training and feeding. Multibuy options are also available on over 700 roses, saving you even more! Our rose catalogue is currently FREE to UK residents and is available for just £5 to everyone outside of the United Kingdom. Ordering your catalogue couldn't be easier, simply complete the form below to register if you live in the UK, or if you live outside of the UK Mainland then you can order a catalogue here. "I am telling everyone here that this catalogue is the best in the world; there is everything you could want for information on the individual roses!!! Printed on fine paper, excellent photos, and loaded with information no other catalogue ever gives you. 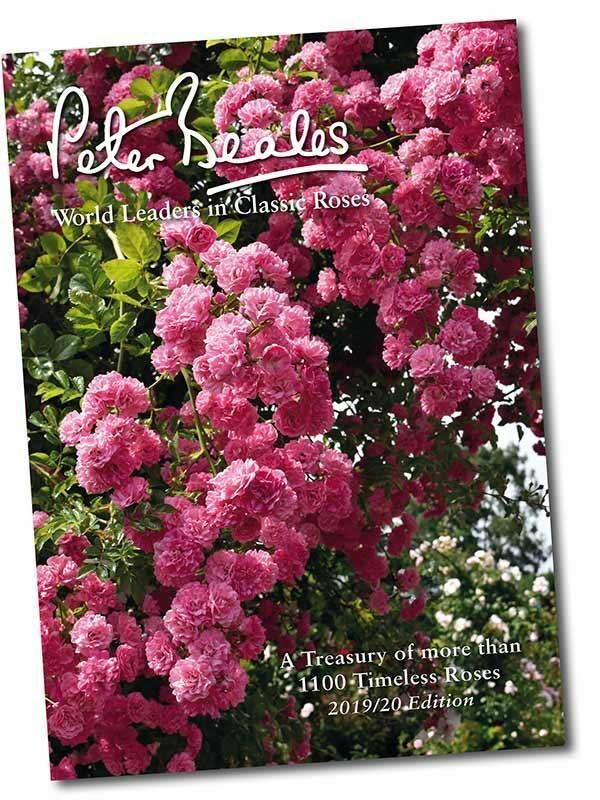 CONGRATULATIONS"
If you would like to receive a FREE copy of our timeless Classic Rose catalogue and are currently in the United Kingdom or Northern Ireland then please fill in the form below. You can order a copy of our catalogue by clicking here. Alternatively you can view our online catalogue here. The fields in this catalogue request form will be used to send you a catalogue and you will not be subscribed to our marketing list or contacted for any other reason unless you explicitly opt-in below. Would you like to opt-in to our email list for news and great special offers? If you are OUTSIDE the United Kingdom or Northern Ireland then you can receive our timeless Classic Rose catalogue at a small cost, please click here.